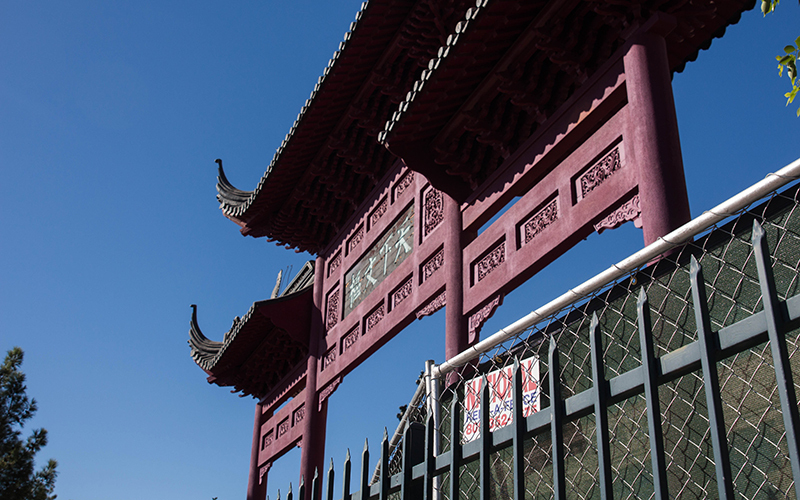 PHOENIX – Advocates for the preservation of the Chinese Cultural Center have gained support from the Patriot Movement AZ, a controversial, conservative pro-Trump group that supports Second Amendment rights and a border wall. 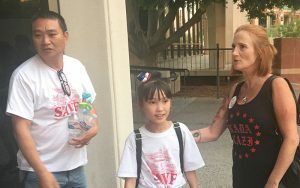 Lesa Antone, who founded the group that has drawn criticism over confrontations with Black Lives Matter and Red for Ed supporters, said the cause of Chinese small-business owners reflects Patriot Movement AZ ideals. Thomas Simon, a spokesman for members of the Chinese community who have fought for months against a development that would shut down the center in east Phoenix, also said the Patriot Movement aligns with a mission of supporting small businesses. “People from opposing views on a lot of things seem to come together on the issue of minority rights,” he said. “This is what we’re dealing with in this case: A small minority of Asian-Americans who feel like their rights are being trampled on by big business. At a Phoenix City Council meeting in early June, members of the two groups sat side-by-side, chatting, moments after Antone’s group conducted an impromptu counterprotest outside council chambers. Patriots AZ members confronted protesters for Black Lives Matter and Puente Arizona, an immigrant-rights group, two groups that were at City Hall to protest what they say is racially motivated police brutality. One Patriot member, wearing a “Trump’s Army” T-shirt, used a megaphone while another live-streamed the encounter on Facebook. 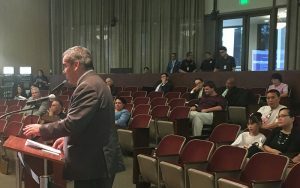 Inside council chambers, Patriot Movement members and center supporters submitted a petition asking the council to condemn the new developer’s alleged use of “intimidation tactics” to get a tenant to vacate a restaurant space in the center. About eight members of the Patriot Movement sat near Simon and HongLei Tian, owner of the now-closed Beijing Garden. Two Patriot members later addressed the council to support the center, and they all cheered as 11-year-old Joanna Dong gave a heartfelt speech explaining why the center was important to her and her family, giving the council a handmade scroll with Chinese figures. 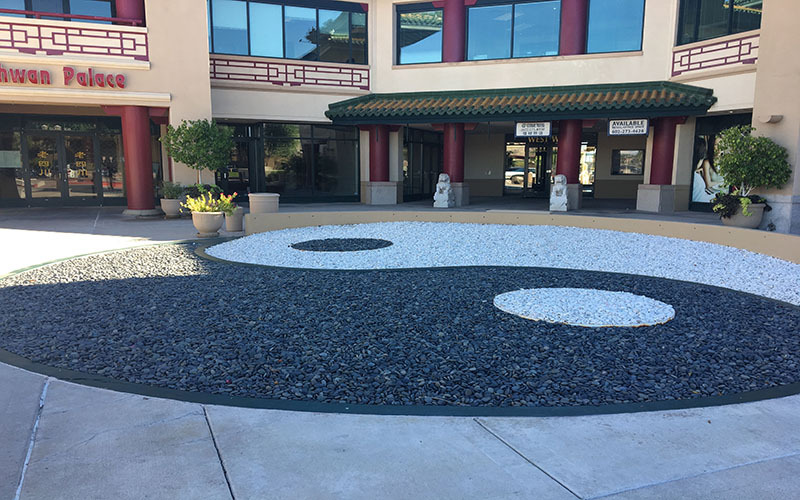 The center has been involved in controversy since last summer, when the complex’s new majority owner, 668 North, revealed plans to completely remodel the Chinese facade of the building and potentially make changes to a prayer garden. Compromise failed, and center supporters filed six lawsuits against 668 North or its parent company. The petition asked the City Council to condemn 668 North, which advocates say used intimidation tactics to shut down Beijing Garden, whose five-year lease in the center ended in January. The restaurant owner claims 668 North cut phone and internet lines to the building, removed a ceiling ventilation fan and locked up equipment belonging to the owners. Christopher Payne, an attorney for 668 North, told the council the “self-help” measures were legal when facing a tenant whose lease had run out and refused to leave. Both sides say they tried to write a new lease and were ignored by the other. The Patriot Movement members and advocates for the center met in September, when Antone spoke at a lengthy City Council meeting to defend the police response to a Trump rally in Phoenix. Center supporters were at the same meeting to discuss the center, and Jinhui Chen, an activist for the center, later wrote Antone, asking for her organization’s support. Antone agreed to do so. “We spent nine hours getting to know these people and talking to them and listening to their stories and it’s heartbreaking – watching kids come up and cry at the thought of losing this place that means so much to them,” Antone said. Patriot Movement AZ members, who describe themselves as supportive of the Constitution and Second Amendment rights, have protested the Red for Ed movement advocating for higher teacher pay, and it opposes the student-led March for Our Lives gun-control movement. They protested a “die-in” earlier this month to honor victims of the Pulse nightclub shooting in Florida and advocate for tighter gun laws. In April, The Arizona Republic reported on backlash from Democrats and others after Gov. Doug Ducey posed for a photo with Patriot Movement AZ members, describing them “a small but vocal activist group known for bringing guns and yelling at people at events in metro Phoenix.” Ducey said he wasn’t familiar with the group and posed with them as he would with any constituents who asked for a photo. Antone told The Republic everyone at the public event recognized her organization. Two women affiliated with the Patriots were arrested and accused of shouting anti-Muslim slurs after entering the grounds of a Tempe mosque while live-streaming on Facebook. The group denounced the women’s actions in a Facebook post. Both women were involved in Patriot Movement AZ activities, including one in which members were accused of “accosting” people of color at the Arizona Capitol in January. Carlos Garcia, a member of the migrant-rights group Puente Arizona, said Antone’s group often protests his group’s events. “I think these particular folks – the ones who are particularly nasty – actually make our argument stronger because sometimes they’ll just be blatantly racist or say stupid things,” Garcia said. But Simon and Antone said the relationship between the groups is one of mutual respect. At the City Council meeting June, after Joanna Dong pleaded to keep the center open, Antone hugged the little girl.